work side-by-side with our neighbors to make sure that everyone, regardless of age, income or background, has the opportunity to learn, grow and thrive. 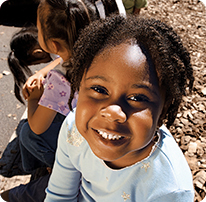 The Y is a nonprofit like no other. That's because in 10,000 neighborhoods across the nation, we have the presence and partnerships to not just promise, but deliver, positive change. 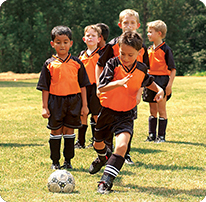 The Y is community centered. For over 160 years, we've been listening and responding to our communities. As part of our commitment to the community, Y leaders have committed to a strategic plan that ensures that the Y is meeting the call of our community. At the Adair County Family YMCA we are currently focused on sustaining our YMCA for many generations to come, serving underserved populations and building strong families in our community. In 1844 George Williams started the first Young Men's Christian Association (YMCA) in London, England to substitute Bible study and prayer for life on the streets. 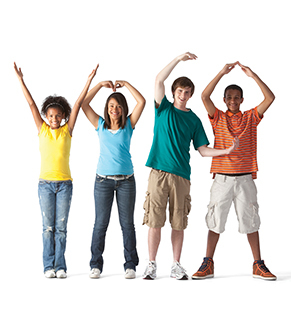 Over the next 188 years the YMCA has evolved into what it is today; influencing the lives of millions throughout the generations. As the YMCA has grown and developed throughout the years, the one steady principle throughout the history of the YMCA has been its dedication to Christian values and the idea of fostering, preserving and advancing the Christian purpose. This principle has been a constant for generations and will continue into the future. The Adair County Family YMCA understands the importance of this principle. Our Christian Emphasis Committee seeks to better support our members in building a healthy spirit, mind and body. This committee considers ideas, projects and activities that will foster, preserve and advance the Christian Purpose. The YMCA was founded in London, England, in 1844 in response to unhealthy social conditions arising in big cities at the end of the Industrial Revolution. Growth of railroads and centralization of industry and commerce brought many rural young men who needed jobs into cities like London. George Williams was one of these young men. He was born on a farm and moved to London 20 years later to work at a draper's shop, a forerunner of today's department store. He and a group of fellow drapers organized the first YMCA to substitute Bible study and prayer for life on the streets. The Y has always been nonsectarian and accepts all faiths. Kirksville's YMCA movement began in 1963 as the brainchild of the local PTA (Parent Teacher Association) presidents. These five leaders dreamed of a recreational outlet for children that extended beyond what the school system could provide, so they formed a steering committee to explore their options. At that time the national YMCA showed an interest in gaining a foothold in smaller communities and recommended that Kirksville take its first step by offering classes and programs in buildings that already existed. Then, on an icy January night in 1983 the YMCA facility was gutted by fire, leaving the organization suddenly homeless. This catastrophic development marked a turning point for the Y movement in Kirksville. Led by Rod Sundstrom and Ron Mehlenbacher, the Y board abruptly expanded its vision beyond its storefront origins, and dedicated itself to building a permanent home for the organization. Even as the devastated Y scrambled to provide classes in multiple venues around town, it embarked upon a massive fund drive to finance a new home. Never before had a private organization in Kirksville set out to raise $800,000.00, but thanks to the generosity of countless citizens, coupled with a gift of over fourteen acres of undeveloped land by Hollister, Inc., the YMCA not only met that goal, but surpassed it. Dedication ceremonies at the new site on Jamison St. took place on April 2, 1984, some 14 months after the fire had destroyed its headquarters. From humble origins in a remodeled grain store, the Y organization has grown until it operates now out of a 28,000 square foot headquarters at the center of an acreage dotted with soccer fields. 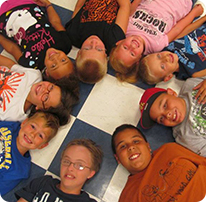 Starting with the dream of providing after school activities for Kirksville's children, the YMCA here has grown to serve more than 2,900 individuals from all age groups in northeast Missouri. Even as today's board looks back with pride over many years of progress, it also looks eagerly toward a future of increasing usefulness to a loyal community that nurtures it steadfastly throughout good times and bad. The YMCA is closed on New Year's Day, Easter, Memorial Day, July 4th, Labor Day, Thanksgiving Day, Christmas Eve and Christmas Day.